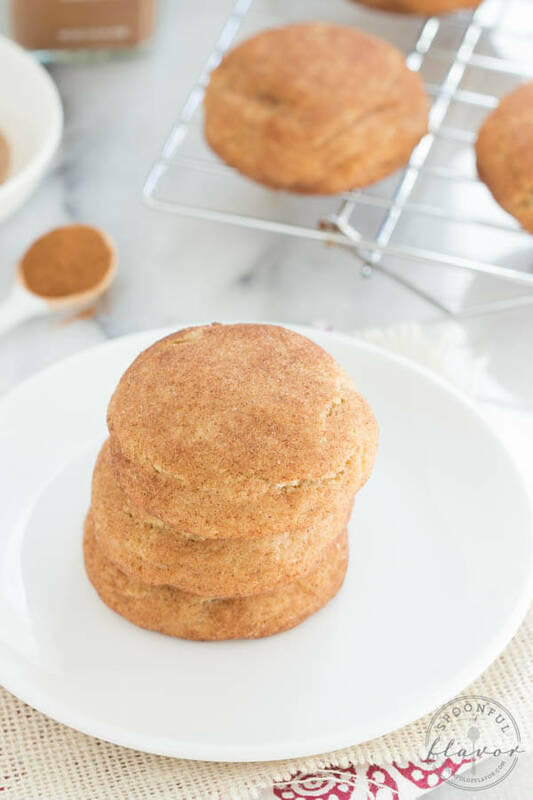 Brown Butter Snickerdoodles are the perfect cookies for any time of the year! Brown butter, cinnamon and sugar create a delicate and delicious treat! Cookies, cookies and more cookies! I feel like that should be theme of the season. Nothing makes me happier after a long workday than baking a batch of fresh cookies. Not only do I have a warm batch of cookies when I am done, but the actual process of baking is very relaxing. The process of cleaning up is a different story. 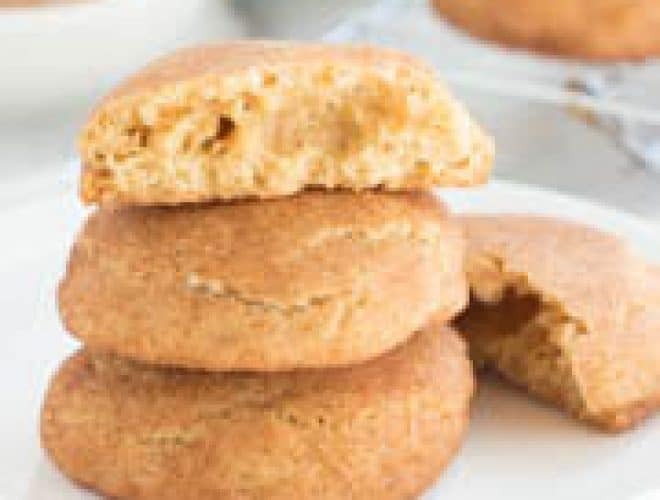 These brown butter snickerdoodles are pillowy mounds of goodness. The recipe is from the Baked Elements Cookbook. If you haven’t already checked out this book, add it to your holiday wish list. I have Baked Occassions on my wish list and can’t wait to try more of the delectable recipes by Matt Lewis and Renato Poliafito. 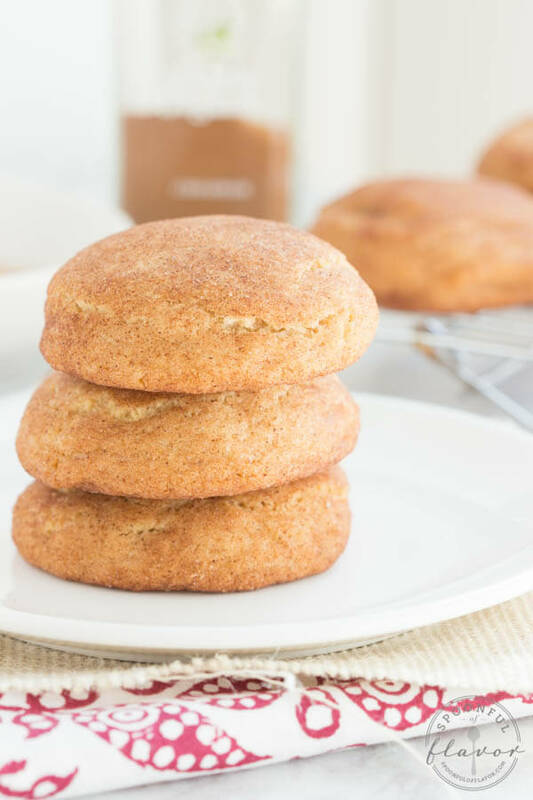 I like my snickerdoodles chewy and this recipe yields a cookie that is baked to the perfect consistency. The brown butter adds a subtle nutty flavor to balance the sweetness of the cinnamon sugar. The result is a cookie that you won’t be able to resist. Because there are still plenty of days left in cookie season, leave me a link to your favorite cookie recipe in the comments below. I can’t wait to try them! In a large bowl, whisk together the flour, cream of tartar, baking soda, cinnamon and salt; set aside. In a small bowl, whisk together the eggs and milk; set aside. In a medium saucepan set over medium heat, melt the butter until the foam subsides and the butter turns nut brown, 8 to 10 minutes, swirling the pan occasionally. Pour the browned butter through a strainer into the bowl of a stand mixer fitted with the paddle attachment. Beat butter on medium speed until it cools to room temperature, 5 to 7 minutes. Add granulated sugar and brown sugar and beat on medium speed for 2 minutes. Scrape down the sides and bottom of the bowl and beat again for a few seconds. Turn the mixer to low speed and add the egg mixture. Mix until combined. Slowly add the flour mixture and mix until just barely incorporated, scraping down the sides of the bowl as needed. Gather the dough into a mound in the middle. Cover the bowl and chill in the refrigerator for at least one hour. In a medium bowl, stir together sugar and cinnamon for cinnamon sugar coating. 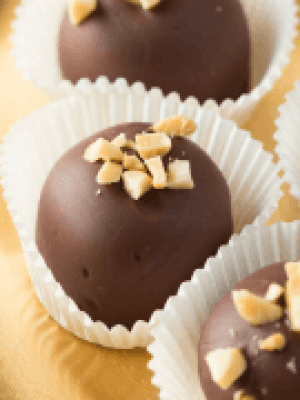 Using a cookie scoop or spoon, scoop about 2 tablespoons of dough and form a ball. Roll the ball in the cinnamon sugar mixture. Repeat with remaining dough. Place the cookies on baking sheet and bake for 10 minutes until cookies are slightly cracked. 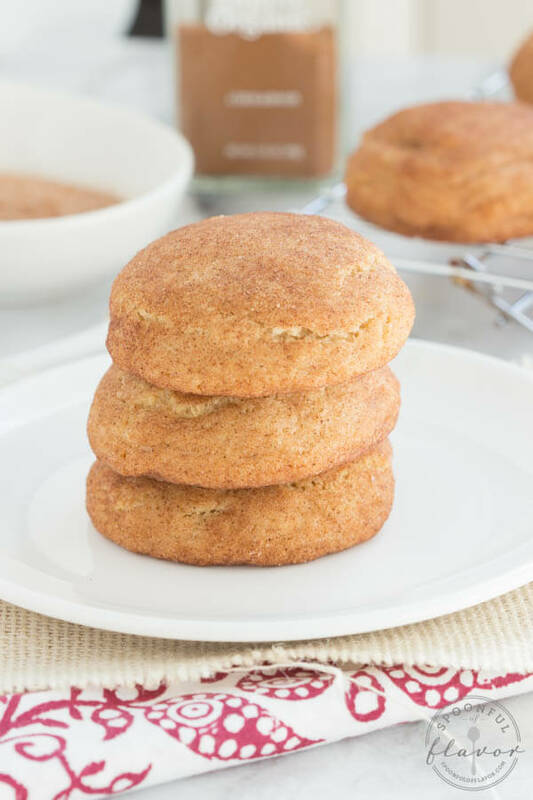 I love snickerdoodles, and brown butter seems like the perfect way to heighten the flavor. I also love the layout of your photos. I never have the space or the patience to put that many elements in a shot, but I'm hoping to find the time and courage to expand my photography repertoire this year. 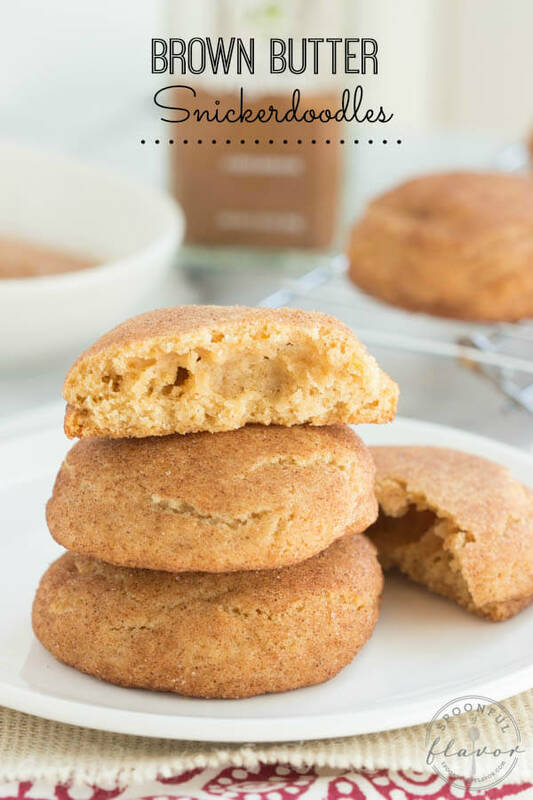 I still haven't managed to try brown butter, but these look like the perfect snickerdoodles, so I might need to give in and finally give it a go! I have such a huge crush on Browned butter. Probably it's the only thing that could make snickerdoodles better than they are. They look awesome Ashley! Chewy is a must in cookies and I love the browned butter! Cookies, cookies and more cookies! LOVE!!! Nothing makes me happier than baking and eating a big batch of cookies!!! :P and I hear you on the clean-up. We all just need dishwasher angels. . :P It's amazing what brown butter does to cookies. . your snickerdoodles look sooooo good!!! love, Ashley!! A dishwasher angel would be perfect! I think I am going to ask Santa for one. Look how soft and fluffy these cookies look, Ashley - perfect for the holidays or any day. Pinned! These look so pillowy soft, LOVE!!! 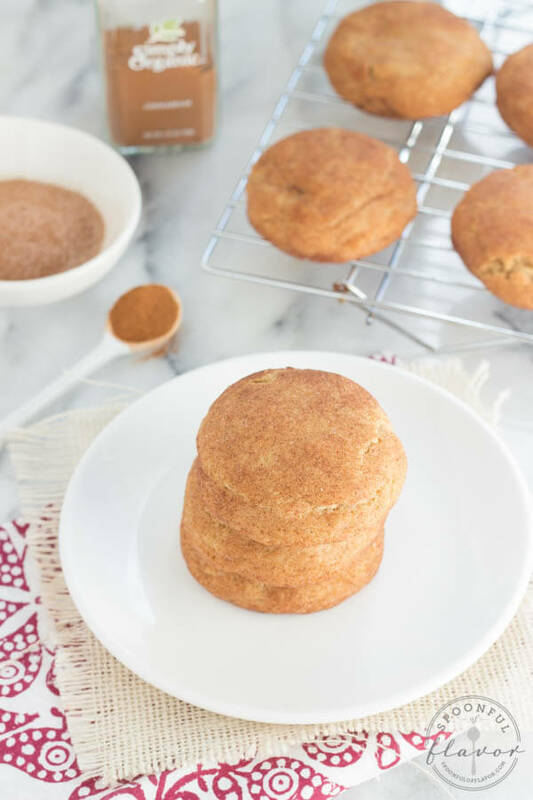 Love the addition of brown butter to snickerdoodles! 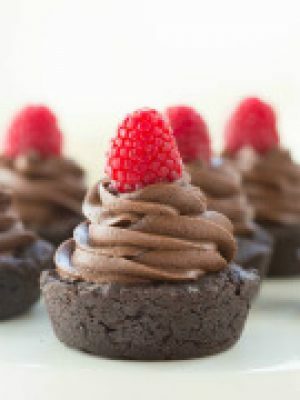 These look perfectly soft and chewy! Forgive my ignorance if you mention this above, but how many cookies does this batch yield? I love the sound of these snickerdoodles -- but I need to make seven dozen for an exchange this week! Eek! Hi, Meg! This recipe yields about 2 dozen cookies. I updated the recipe to note the yield. Enjoy! I love cookie season and snickerdoodles are always a holiday favorite. 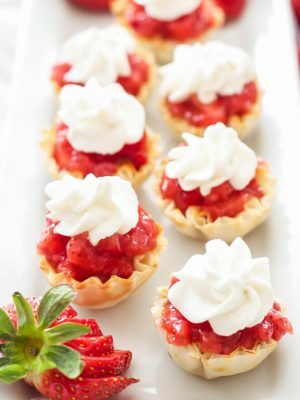 Adding brown butter makes them even more irresistible :) I would love a dozen or two of these, they look amazing!! MMMMMMM brown butter!! I baked all weekend up at the cabin just for relaxation - no blogging work allowed - and it was incredible. So fun to get back to why I love being in the kitchen! A weekend at the cabin baking sounds relaxing! This is my hubby's favorite kind of cookie! I bet the brown butter makes them that much better - YUM! I totally agree, nothing like baking cookies to put you in a relaxing mood! These look fabulously soft. Pinned. All the Baked books are on my Amazon wishlist and I really need to get on buying them :) Love love these cookies. You had me at brown butter!